With Point of Success you can use the credit card processor of your choice. Select the processor that’s best for your business – Vantiv Integrated Payments is our recommended processor and many other processors are also supported. Credit card and gift processing are available only in the United States. Companies who accept credit card payments must be compliant with all applicable PCI-DSS (Payment Card Industry Data Security Standard) requirements. This includes using validated payment processing software, securing computers and the network where the software is used, and taking other measures to ensure a secure credit card data environment. Point of Success Version 3.5 and above uses out-of-scope credit card processing technology from Datacap Systems, Inc. NETePay version 5 is recognized as a Validated Payment Application. More information is available on the PCI Security Standards Council web site at https://www.pcisecuritystandards.org/. Vantiv Integrated Payments (formerly Mercury Payment Systems) specializes in credit card processing integrated in point of sale systems. 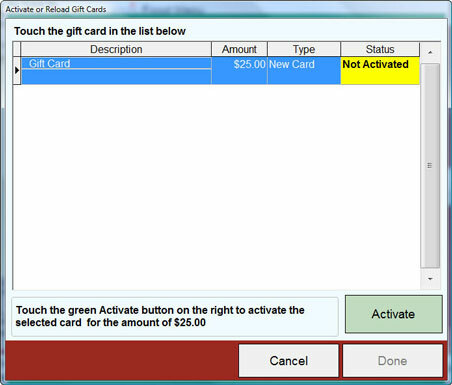 When you sell gift cards through Point of Success you can issue those cards with any amount you choose, check the balance on the card, and sell items from your menu using a gift card to pay for the order. Gift card processing is very secure. Cards can only be activated or reloaded after payment has been received for the card. Cards have no value until they are activated through Point of Success. Complete business reporting trough Point of Success and Vantiv Integrated Payments tells you the cards you sold, the amount of redemptions used to pay for customer orders, and the amounts outstanding on your cards. Customers can use a StoreCard as a digital gift card – Use a smart phone to pay for purchases! StoreCard costs just $29.99 per month through Vantiv. 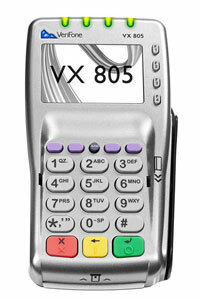 Vantiv Integrated Payments supports EMV processing using Point of Success version 3.7 or above with a VX 805. NETePay software from Datacap Systems, Inc. offers a long list of additional credit card processors for Point of Success. Keep in mind that if your processing company is not listed below that your merchant services company may be working with one of these companies that serve as their back-end processor. Gift card processing in Point of Success is not available when using these processors. For improved security, credit card processing in Point of Success version 3.5 and above requires the use of encrypted credit card devices. This hardware is fully supported by Point of Success and offers a variety of functionality. 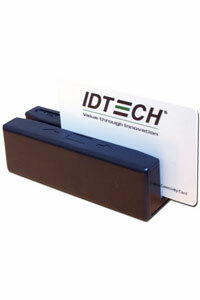 This encrypted magnetic stripe reader offers basic magnetic stripe operation. Securely reads credit cards and can also be used with Point of Success employee cards and Vantiv Integrated Payments gift cards. Available only with USB interface. Includes a card reader slot for EMV processing with new chip-embedded credit cards. Available with serial or USB interface. Notice on Windows XP: Point of Success Technical Suport will not install credit card processing software or hardware on computers running Windows XP. Credit card processing is not supported on Windows XP.